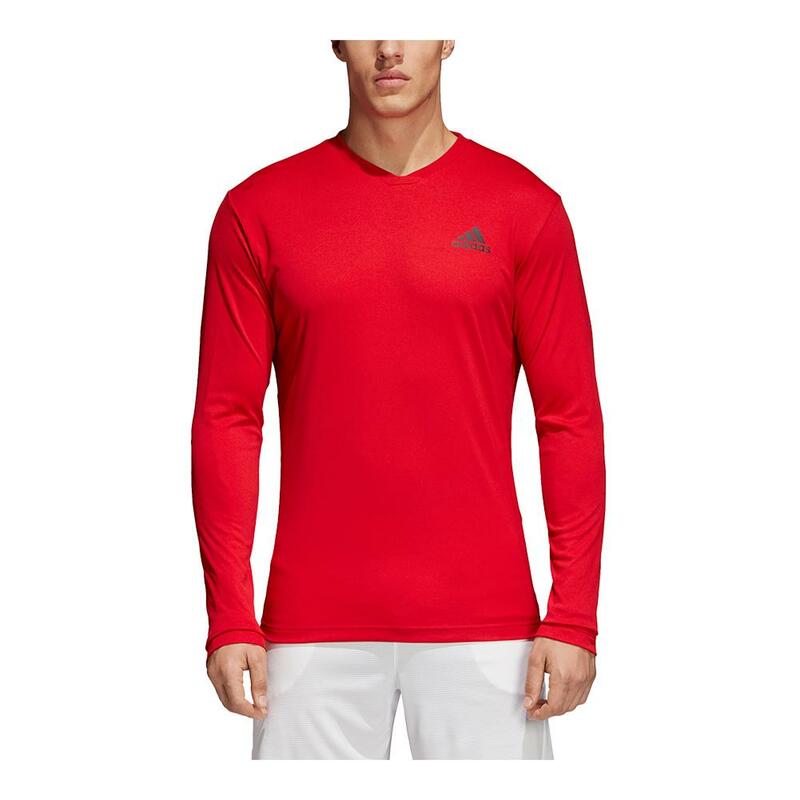 Conquer cooler days on court in the adidas Men’s Club Long-Sleeve UV Protect Tennis Tee in Scarlet. 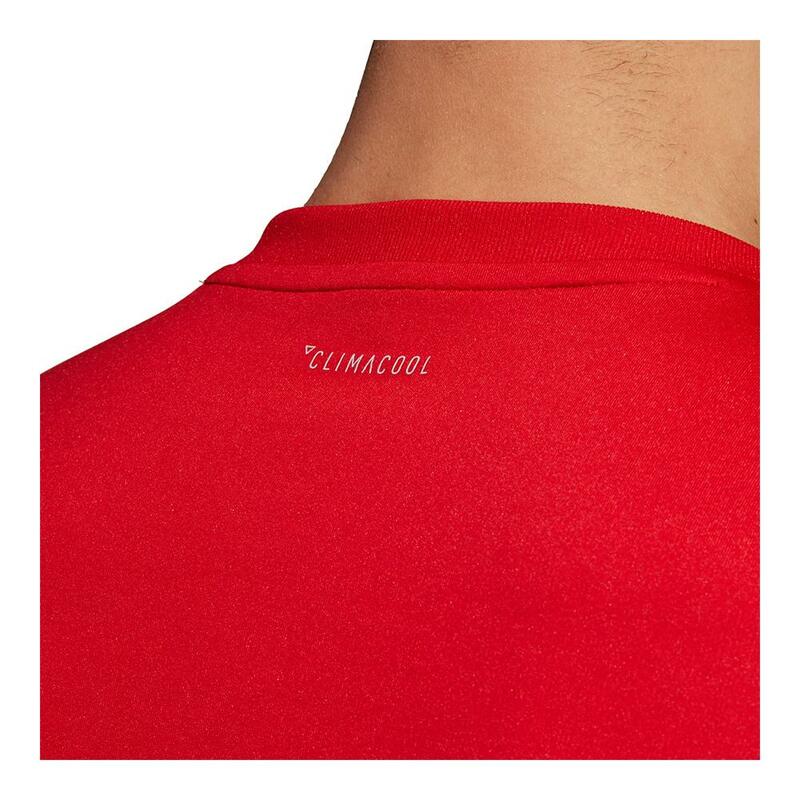 Keep things simple by slipping on this long-sleeve tee or you can also comfortably wear this over a tank top or short sleeve top. This tee offers UPF 50 protection from the sun. 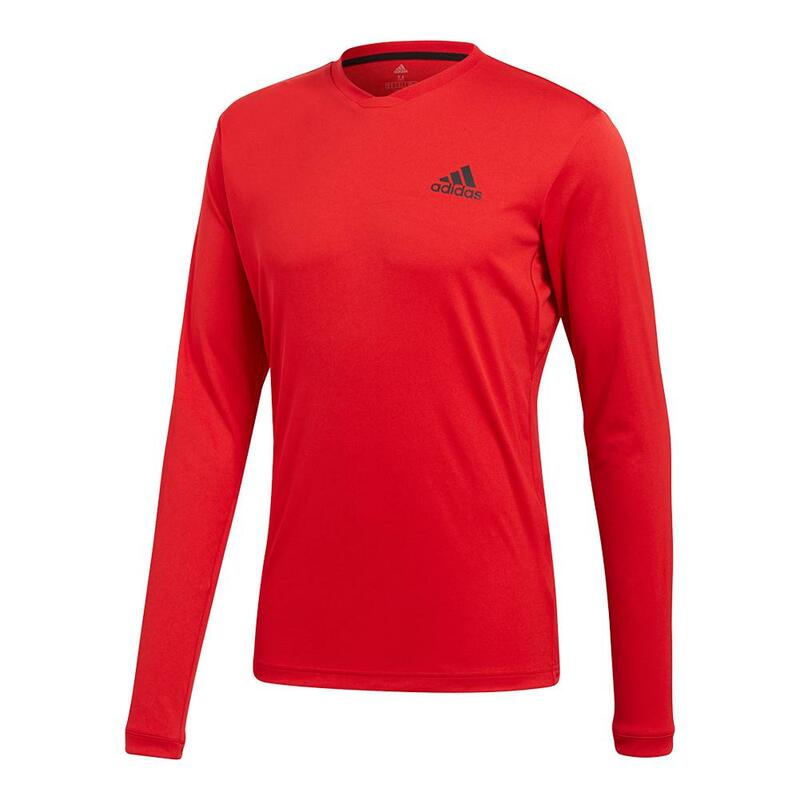 adidas logo on the left chest. 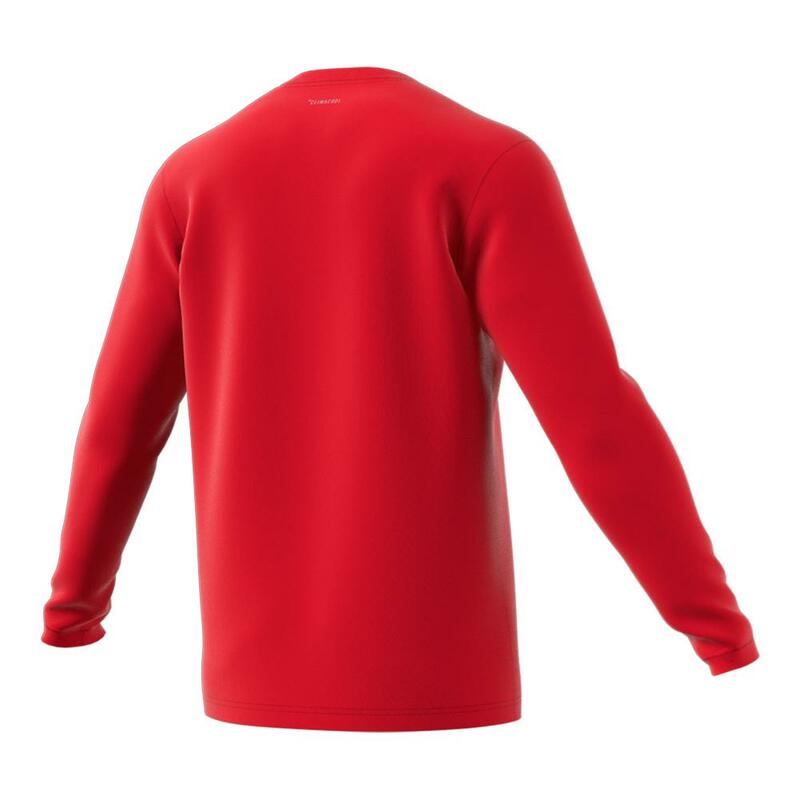 See your favorite adidas players wear Club in action and read more about the collection in our new blog post, "Cool Color Blocking From Club Adidas."